If you have ever wondered what use an old pallet could have then prepare to be amazed and inspired by the incredible array of ideas shown online. 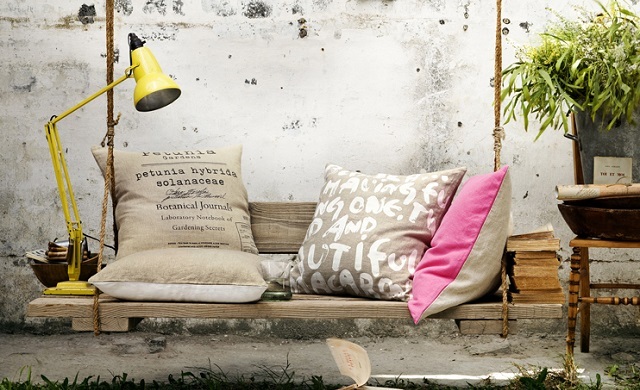 There are a number of creative and eco-minded online communities which blend cutting-edge design, innovation and ‘green’ living to excellent effect and it turns out the the humble pallet is a perfect base for creating an exciting new product. Read on for inspiration. Gather an old pallet, screw it to the wall and place pots behind it. 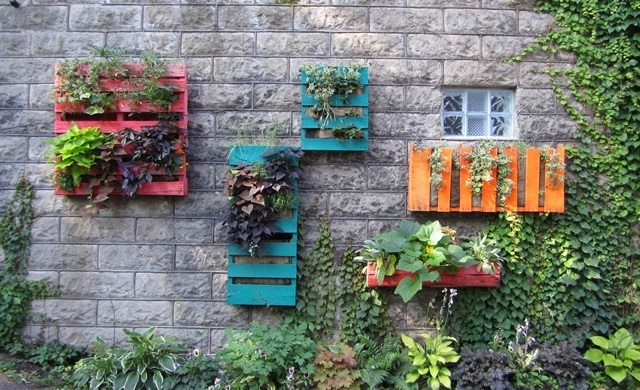 Then, grow and train creepers and climbing plants through the pallet rows, to create a visually arresting piece of wall art and growing space at home. 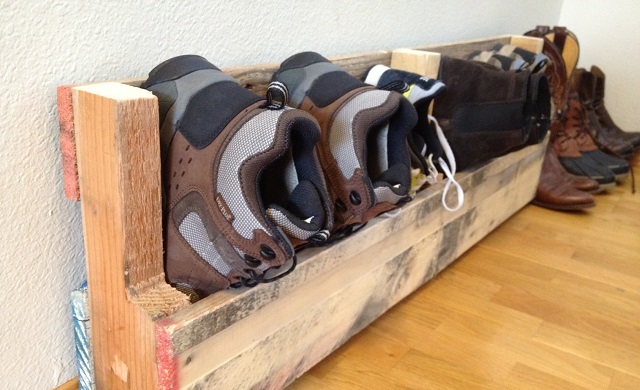 Pop one of your used pallets onto its side, affix it to a surface and then you can use the space between the slats to rest your shoes. Forget expensive shoe racks, this is a wonderfully quirky way of combining functionality with fun design. Those with joinery skills and a love of furniture design have recycled pallets to great effect by making outdoor furniture. By joining a range of different sized pallets together, a strong construction can be formed as a modular unit and then a foam base placed on top for comfort. 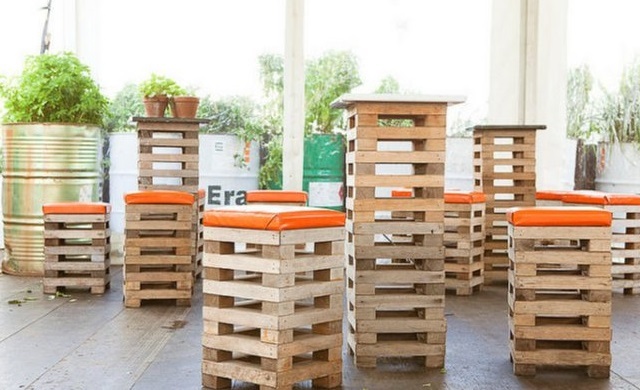 People have made tables, sofas, beds – and even a staircase using a series of upcycled pallets – truly inspirational. Others have also made cat and dog beds, by putting a soft cushion inside a painted and decorated pallet – perfect for your four legged friends. Use an old pallet as the base for a swing. Simply drill and attach two strong ropes and reinforce the base if needed with some additional wooden strips. Varnish and sand down the edges and look forward to hours of fun outdoors. 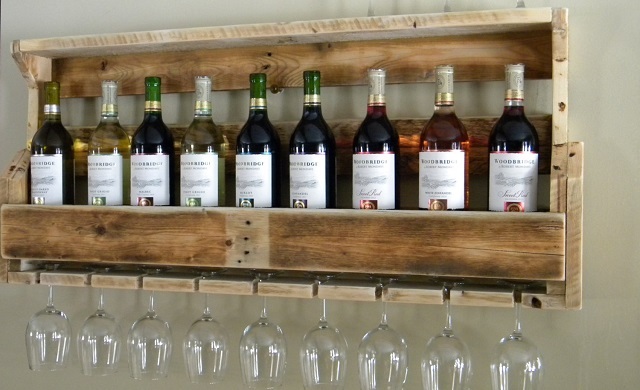 Cut an old pallet in half and use it to store wine in the kitchen. Varnish it for a coloured finish and sand down any sharp edges. Voilà. Useful and attractive. Great for urban apartments and country chic pads alike, a series of different pallet sizes can be wall mounted to create fun shelving units. 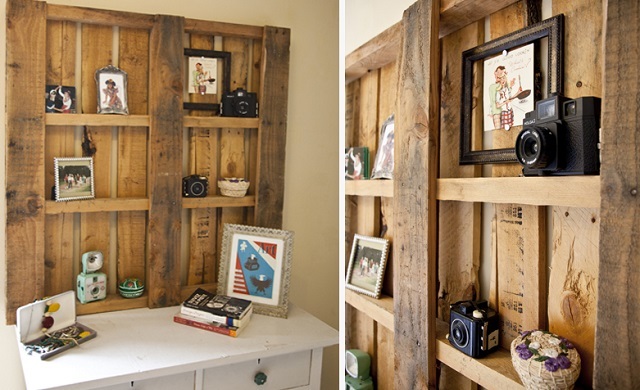 These are just a few of the wonderful ideas available for recycling an old pallet and finding a fresh and beautiful new use for an old and purely functional item. Take a look online for plenty of creative ideas and inspiration and see what you can come up with yourself.